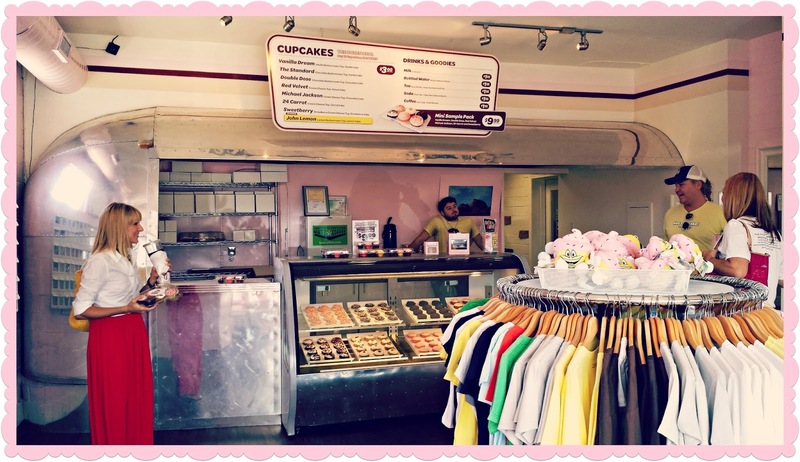 The Fairy Godmother of Travel: Hey Cupcake! 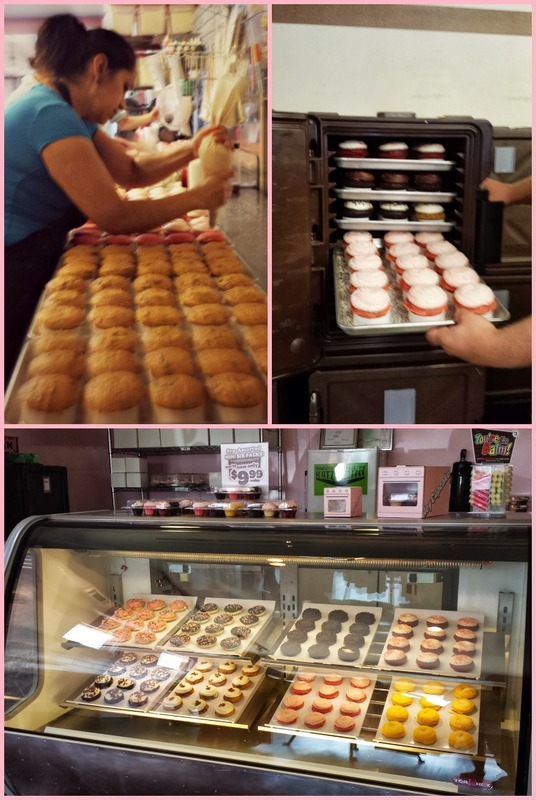 The Fairy Godmothers recently enjoyed a behind the scenes tour of Hey Cupcake! We heard about some of their exciting updates they are making as well as how they can be included in your next event. Start by booking one of their mobile airstreams for your own event and capture some memorable pictures with your friends in front of this original Austin icon. Even more exciting was when we found out that you can personalize your individual cupcakes with a custom sugar topper in the icing. Monograms anyone? Without hesitation we placed an order for Your Very Own Fairy Godmother treats! Our signature shoe has never looked tastier! Hey Cupcake! rolled out their fun new togo packaging this month. 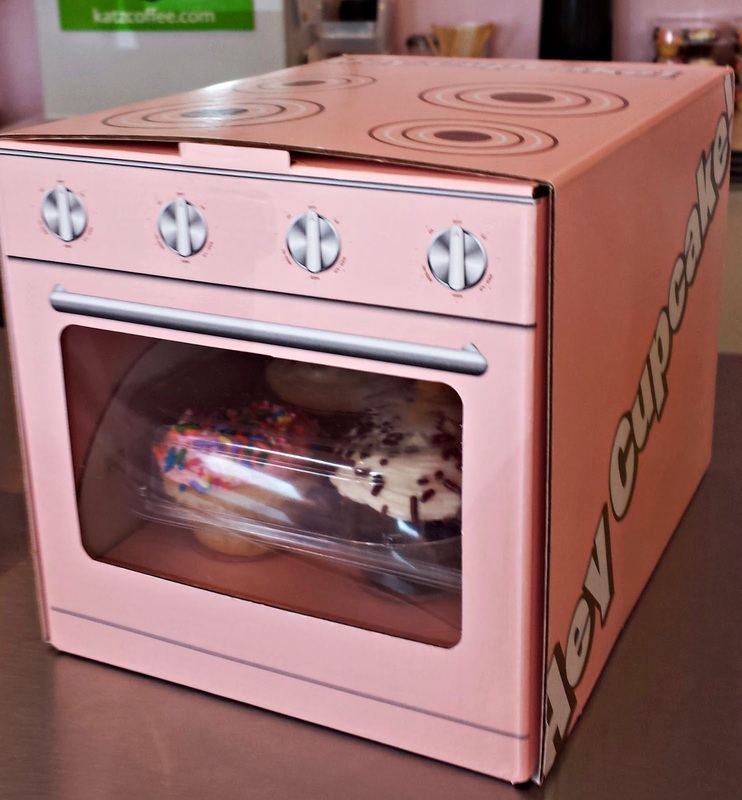 Now bringing your cupcake to you straight from "the oven"! 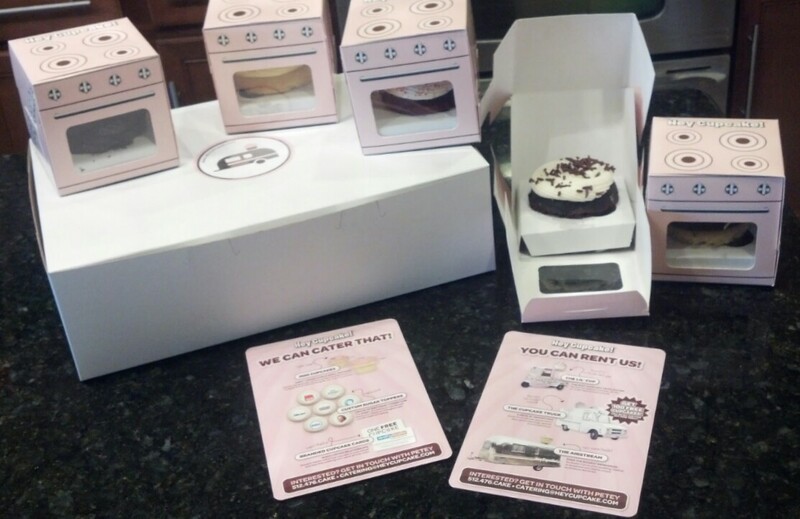 Their new oven boxes are a perfect fit to safely carry the standard sized single cupcakes. Can't choose just one flavor? They also make ovens large enough to tote along their 6 pack of mini cupcakes.